If you grew up combining coconut and toasted marshmallow jelly beans to make a mouthful of your favorite flavor, then this new candy sensation is made just for you. From the man who invented Jelly Belly jelly beans, David Klein, comes a new jelly bean confection that is sure to be just as wonderful! 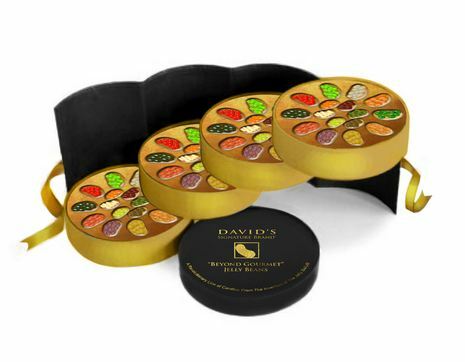 David's Beyond Gourmet Jelly Beans, are the beloved candy bean, with a grown up twist. These high end jelly beans offer a variety of flavor combinations such as Thai Lemongrass Curry, or Indian Mango Chutney!